As August came to a close, Abians in Nigeria and throughout the global diaspora took time to pause, reflect on and no doubt commemorate twenty-three years of ‘God’s Own State’. There were celebrations and there were solemn consultations; there was joy and there were most certainly tears. Yet while this juxtaposition is inherent in the political discourse of many Nigerian States, such contrast and overall disillusionment is amplified in Abia, a region that many believe, despite the ascendancy of our nation to the forefront of African markets, has stalled and today remains in infrastructural paralysis. There are varied explanations for this tragic scenario. However, what remains clear and beyond doubt is that a purportedly disconnected administration harbors the tendency to perpetually respond to such concerns and scrutiny with finger-pointing and often mudslinging as opposed to offering a tangible roadmap for their own and, assumedly, their State’s reformation. Questions linger of the present Administration; questions that have long gone unanswered. Is it inept, perhaps cronyism-driven bureaucracy that has stifled Abia’s education sector, causing Abia State University and Abia State Polytechnic schoolteachers and professors to often work out of charity and goodwill, as they are regularly unpaid? Is it red tape that limits the capacity of healthcare workers and keeps ambulatory facilities at a base portion and staff without adequate funding or equipment to treat the unwell? Is governance to blame for massive unemployment, that which serves as a prerequisite for criminal indoctrination? Indeed if not, then who is to blame for the literal mess that presently clogs our once-beautiful cities’ streets? Beyond finger pointing and ahead of the ever sensationalized, hotly contested elections to come, we must recommend such a roadmap for restoration. We as Abians, must enable Abia to work for itself and inspire our fellow citizens to live and grow in a State indicative of Nigeria’s true potential. Of critical significance is no doubt the rehabilitation of roads, such as the Enugu – Aba – Port Harcourt Expressway and the Aba – Ikot Ekpene Road. Alternatively but indeed as importantly would be the reconstruction of streets which interconnect Aba itself, those fundamental to Abia’s economy, connecting students to schools, working families to their residences and business to businesses within and beyond State lines. I was recently taken aback and inspired by the work of three students, pupils who in 2009 were out of school when university lecturers in Nigeria went on strike. Those students, Olalekan Olude, Ayodeji Adewunmi and Opeyemi Awoyemi chose to create an online job search company entitled ‘Jobberman’, one that has now achieved a multi-million dollar valuation and is a business that presently employs over one hundred people. It is truly entrepreneurship that has facilitated the transformation of Nigeria in to the lead international conduit for development within the African marketplace. Incentivizing Abians to explore employment or entrepreneurial options for market integration, especially pertinent in the face of such adversity including a lack of necessities such as steady electricity and unabated resource squandering, requires a reevaluation of corporate governance within the State. In doing so and with future generations in mind, we will together deter the festering of corruption and instill a system of adhered-to values in to a commercial State climate long deemed uncompetitive and inadequate. I have long pushed for a more unadulterated degree of discourse in Nigeria, let alone Abia. One year ago, I stated that the fundamental freedom to voice one´s opinion without persecution or consequence is not a luxury to be granted but a human right in any modern society. Yet today, we see journalists targeted, arrested and disciplined for their investigations and insight, fostering distrust and moreover, allowing for the prevalent spread of misinformation. If we truly believe Abia to be at the cusp at modernity, we must value the opinions of all of its citizens and not arbitrarily (or with agenda in mind), persecute those who wish to express themselves. For in doing so, we deny them the empowerment needed to remain a willing participant in malleable Abia as an idea. The assumption of responsibility has ultimately and historically been a burden to bear, but one to be shouldered with acceptance, honor and accountability. It would be prudent to implore the current Administration to acknowledge the State’s affairs and what future successors should do to right such wrongs, as opposed to tabling Abia’s revitalization for the purposes of fortifying their own legacies. Secretary-General of the United Nations Ban Ki-moon once suggested that sustainable development is the pathway to the future wanted for all. “It offers a framework to generate economic growth,” he stated, “achieving social justice, exercising environmental stewardship and strengthening governance”. Abia, much like Nigeria, must always strive for its government to be progressive and its development to be sustainable. Otherwise the failures clear and present with our shared State will serve symbolic to the hindrances that threaten the ambitions of our nation as a whole. 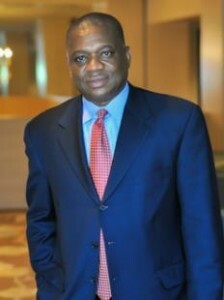 Dr. Orji Uzor Kalu is a former two-term Governor of Nigeria’s Abia State and previously, a 2014 Senatorial candidate for its Abia North district. He is presently shortlisted on Africa’s Wealthiest individuals by Forbes Magazine and remains Chairman of SLOK Group Nigeria, a multinational organization he founded. The views expressed are his own.